A business plan is important to your lawn care business for many reasons. It is important that you strive to put together a document that will be useful in helping you to launch your business successfully and to get you headed off in the direction of your goals. Below I have set out some ideas on what makes for an effective business plan for a lawn care business. To be effective in communicating your message to interested parties your business plan should be easy to read. It must be able to be understood by anyone who has to read it. Keep your writing style simple and try not to cram too many points into a single sentence or paragraph. Make sure that you triple check everything in your business plan before you pass it onto any important party. Check for spelling and grammatical errors and check all figures to make sure that they add up. Even then you should have at least one other person read over the plan to check that everything is correct and that it makes sense. Your business plan should be structured in a manner than is organized and easy to navigate. Clearly divide the report into sections that are in a logical sequence. Include a contents page to help readers find their way around. Make use of graphs, tables and charts if they are indeed the best way to convey some of the information. If you can't decide on an appropriate structure take a look at the business plan page on Wikipedia for ideas on layout and section titles. While you don’t really need to hire a consultant to write your business plan it would be helpful to seek advice from someone that you know who has a good business mind. They will be able to help you to structure the report and offer advice on exactly what you should include. There are also numerous examples, templates and software packages that you can find online and these can help you immensely when it comes to composing your plan. 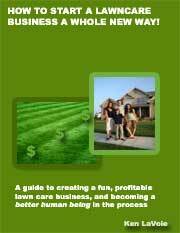 Some offer business plan examples specifically from the lawn care industry. It is fine to produce printed versions of your business plan on your home PC if you have a quality printer. Aim to impress via your presentation and pay attention to details. Once you have printed the report get it bound or present it neatly in a folder. A well written business plan should include references to material that proves or reinforces any facts that are stated in the plan. An appendix is an appropriate place to include copies of supporting documents, spreadsheets and other materials. Including links to online sources is also acceptable these days. While the written part of a business plan is useful in explaining your proposal, don’t underestimate the numbers. 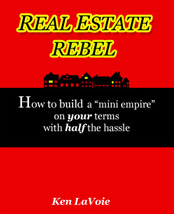 To be feasible you have to have financial estimates that prove that your concept can be profitable. Your well written plan should include all of the details that are of any significance. Make sure that nothing of importance is left out. It will affect your credibility if others read your plan and realize that you have left out basic details about your business model. Consider how long and detailed your lawn service business plan needs to be. There is a trend towards plans that are brief and concise so if you can outline everything on a few pages then go for it. The length will depend on the scope of your plans as well. Think about the size and complexity of the proposed startup. For a larger business you would obviously go into more detail than you would for a smaller operation. For small and medium sized startups you should aim for a 15 to 20 page report. 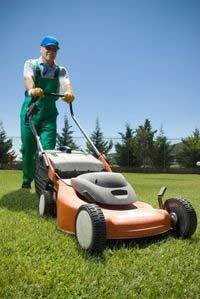 For the typical sole operator lawn care startup a report of 6 to 8 pages should be sufficient unless you are going for funding and are required to give more in-depth detail.